Visual Echoes was commissioned by onedotzero for the V&A. 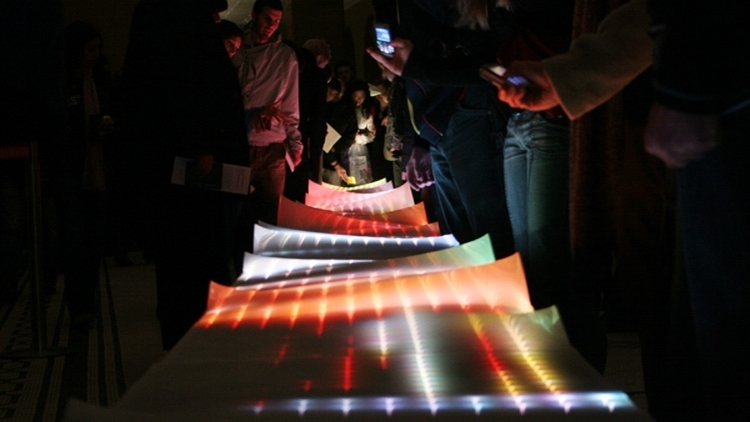 An 18 metre river of light captures the colours of vistors clothes and floats them through the gallery space. 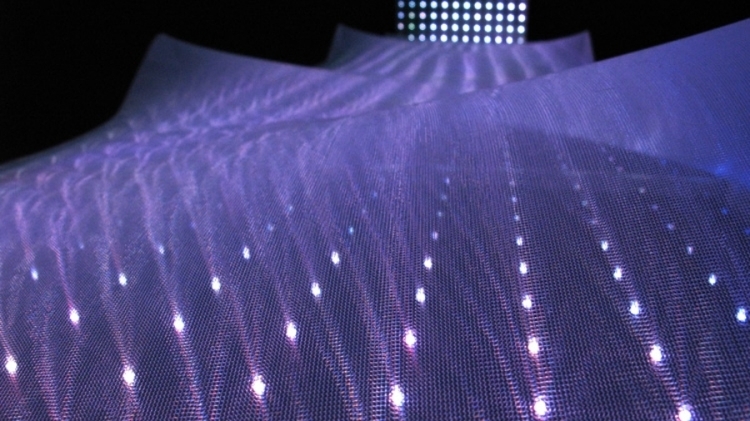 The installation was created by Jason Bruges Studio.